Just before the Lunar New Year, everyone will be stocking up lots of goodies for friends and relatives who visit for the festivities. 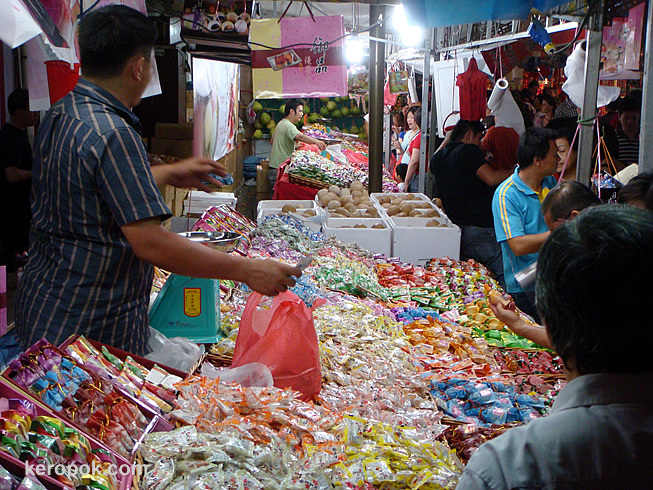 Seen here, LOTS and LOTS of sweets being sold at the Night Bazaar at Chinatown. Why do people eat sweet things during the Lunar New Year? Well, it's so that every word that will be spoken will be sweet! Just like lovers whispering sweet nothings. LOL.